The Newborn and Sleep (0-4 months). Has my baby forgotten how to sleep? Every mammal comes into this world knowing how to sleep. Our baby animals are no different. I often receive calls from new parents saying this, “She was sleeping so well and at 3-months she started waking every hour to eat and naps are getting harder and harder”. What you are likely experiencing is what I call “the first brain wake up” of infancy. It looks like smiles, communicative cooing, giggles and awareness of YOU being the go to person for ALL complaints. Our babies become less reflexive and more interactive. They are interacting with the loving relationship you are creating and it is one of the sweetest moments of mommy-hood. Development is MOST interruptive to child sleep in the first three years of life! This is the time to lay the foundation of healthy sleep habits that will become a part of early childhood and hopefully beyond. We want to raise children, who grow into adults, who take care of themselves around their basic needs. Healthy bond – The nursing/feeding, sleep, relationship is an almost no fail situation for establishing the newborn’s primary need…a healthy and secure attachment. The biggest interruption to sleep at this age is the need for food in the night. For this reason co-sleeping (sleeping in close proximity) is the ideal situation for sleeping.Our babies sleep in us, then on us, then next to us, and then over there, either in (or out of) the same room.The newborn phase of development is a good time to start the transition to sleeping “next to us” rather than “ON us”. If you decide to do family bed, you will want to follow guidelines for making the bed safe. This is an easy fix. Dependable predictable routine – it is never too early to start a consistent routine of the day around the basic needs. 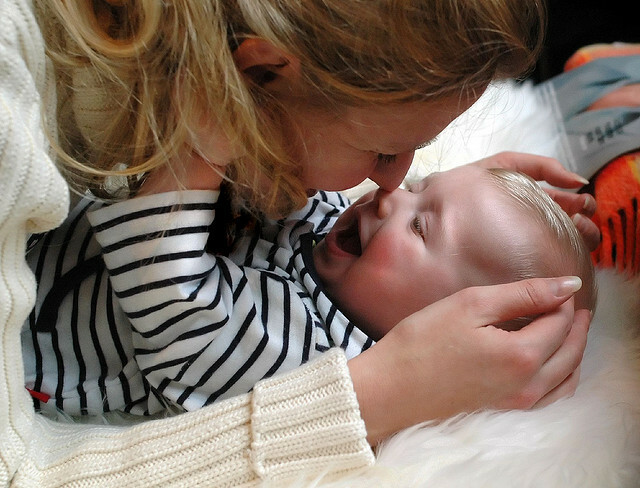 For simplicity and ease I like to focus on the following authentic needs in the newborn routine.Connection – Magda Gerber called it “wants nothing quality time”. We will do so much for our children and with our children. Get in the practice now of finding time to simply BE with your child.Food – noticing and tracking your baby’s authentic need for hunger in the day is an important mommy skill to develop over these first few months. It is natural to nurse for comfort as well as hunger. Coming into 4 months of age we start to notice the difference between hunger nursing and comfort nursing. 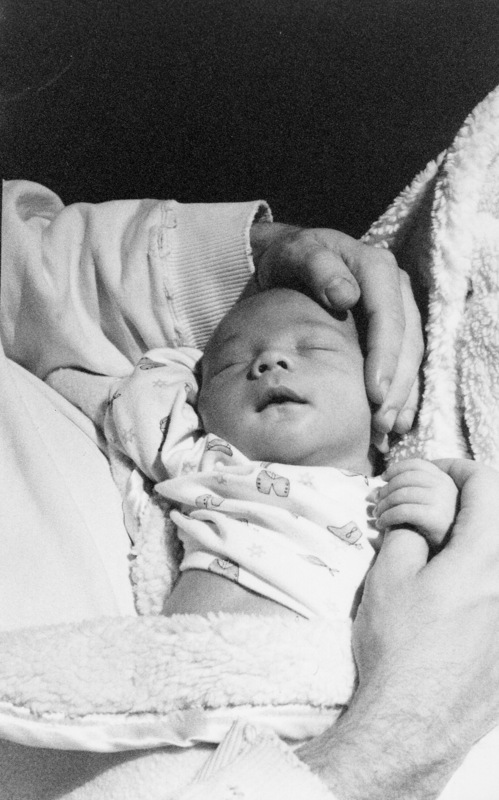 Just notice.Sleep – your baby’s brain is predominately delta waves (sleep waves). You may notice his/her ability to sleep under almost any circumstance. Offering a peaceful and quiet environment is the best. Play – as the fist opens and the grasp becomes more deliberate your baby will begin to hold AND let go. This moment of choosing to reach for an object, could be considered the beginning of what will turn into the child’s need for play. 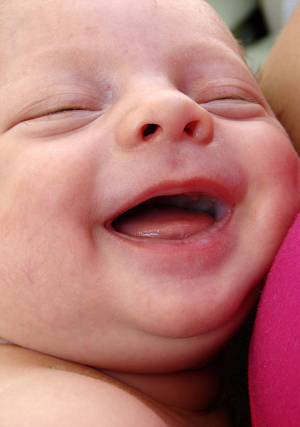 BE Mindful of Stimulation – Your baby’s brain has much growth ahead. Because his brain cannot attend to any one thing, he is experiencing ALL of his senses at once. This incredibly open, conscious and awake brain can very easily become overstimulated. For this reason naps get harder and harder as the day wears on. Magda Gerber encouraged us to see the world through the child’s eyes and to consider THEIR perspective. 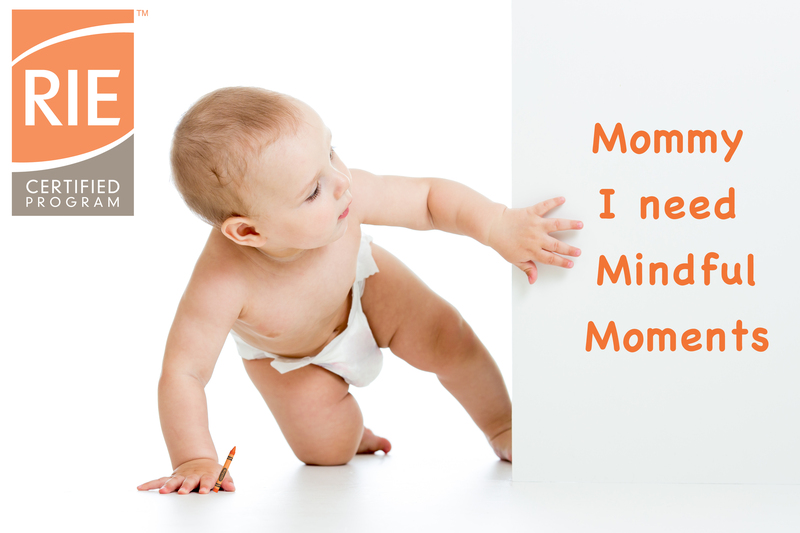 Observe your baby closely throughout the day and in different situations. Notice how he responds to the stimulation of his surroundings. If you have more in depth questions that cannot be answered here…rest assured…I offer a FREE 15-minute phone chat! Please go to the “Schedule With Eileen” tab above and schedule a FREE 15-minute consultation.